Should you be fortunate enough to be in Japan in early April, here are my top 6 places to see the sakura (cherry blossoms) in Kyoto. This was supposed to be a top-5 list (in this age of top-5 clickbait), but I couldn’t leave any one of these out so it’s a top 6 instead! These are the places I judge to have the most beautiful blossoms, or best combinations of the cherry blossoms with their surroundings, rather than the best places for the activity of hanami parties (essentially, boozy picnics under the blossoms), so they tend to involve taking a walk rather than taking a seat with a beer. Actually, although I said ‘in no particular order’, this is my personal favourite. It’s not quite a secret spot, but measured against the hordes elsewhere it certainly feels it; for some inexplicable reason, this most pretty of temples doesn’t attract the masses and you can enjoy the cherry blossoms in relative peace. 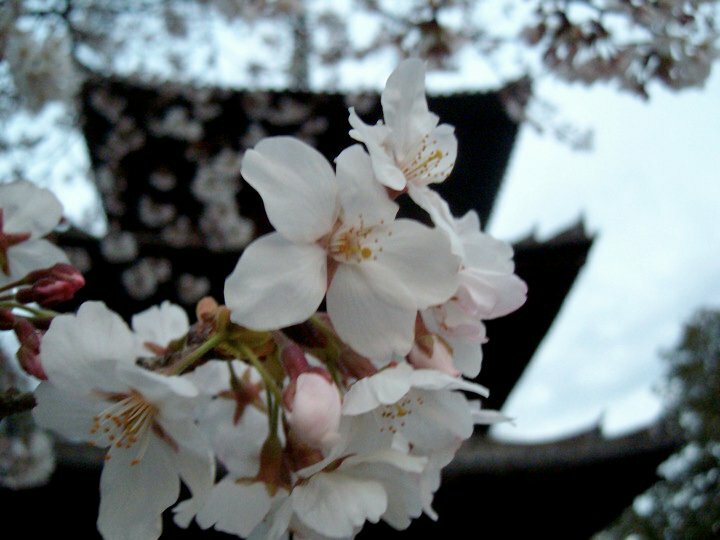 The temple is actually named Konkai Komyoji, but it and its surrounds are usually referred to as Kurodani. The temple itself is of great religious significance, with a set of temple buildings that would surely be the pride of any other city; the impressive sanmon gate (entrance gate) is the first thing you see, and beyond it lie the main temple buildings straight ahead, and to the right is a small pond surrounded by sakura trees. 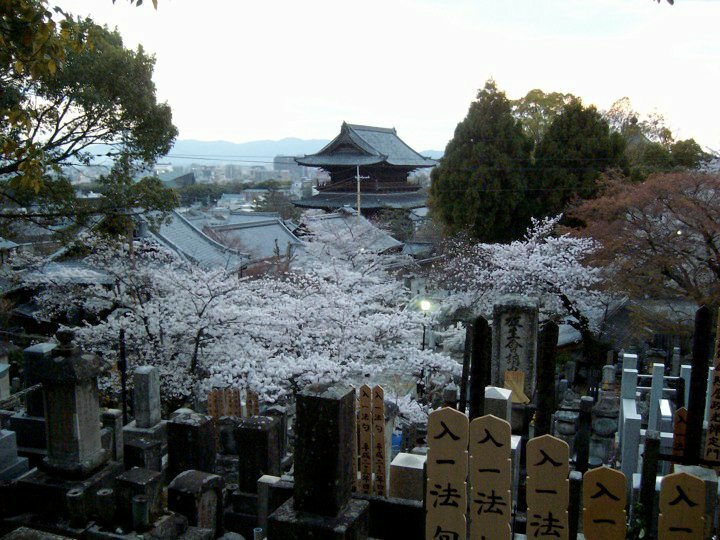 On the other side of the pond a serene graveyard rises up the hill to a 3-tier pagoda; climbing the steps past the Buddha-statues and beautifully tended graves, turning around you see the burst of cherry blossoms before you, the sanmon gate beyond, and northern Kyoto beyond that. 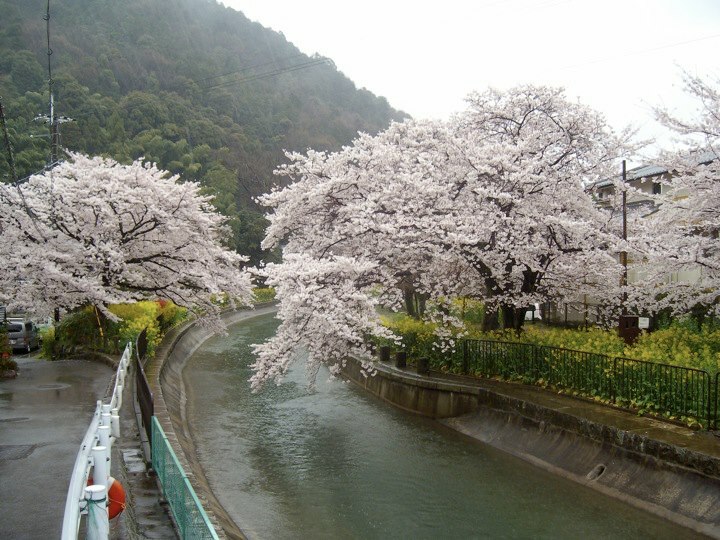 The Kamo river is a nice place for a stroll anyway, but with the blossoms out it’s even better. 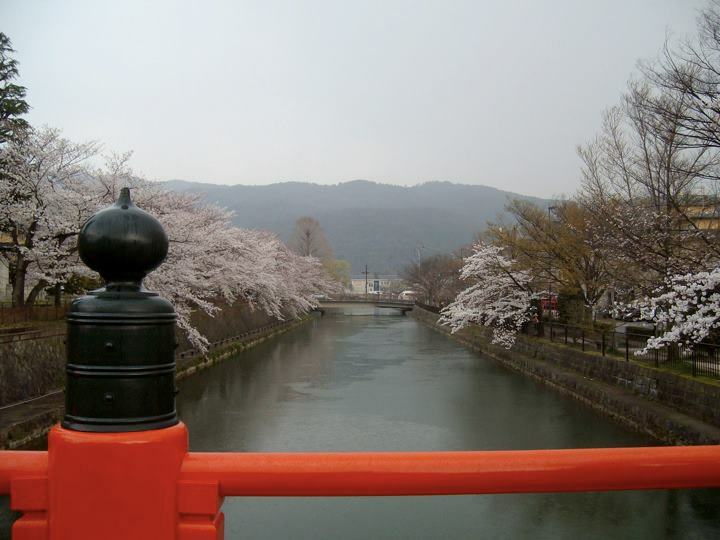 There are sakura trees all along the river, but a particularly famous spot is the Nakaraginomichi (半木の道) near Kitayama station (from the station walk west to the river, then turn left i.e. south), a kind of sakura tunnel formed over the path; that’s quite far north up the river, but even just strolling from Sanjo bridge in central Kyoto to Shijo or Gojo bridges is nice enough (and Gojo is near Kiyomizu temple, itself rather nice at blossom time). If you want to stretch your legs a little, the Shimogamo Shrine near Demachiyanagi station makes a good starting point for a walk up to the Nakaraginomichi. I actually used to live near the top of the incline, and walking home at night up the empty incline under the moonlit blossoms was, and no other word cuts it, magical. The Incline’s the best single cherry blossom spot on the Lake Biwa Canal, but in fact the entire canal system is awesome in spring. From the bottom of the incline you can follow the sakura-lined Okazaki Canal to Heian Shrine or the Kamo river; from the top of the Incline you can walk through the forest to Nanzen-ji temple and on to the Philosopher’s Path (see below), itself part of the Biwa Canal system; best of all, if you’re a hiker and you have the best part of a day to spare, you can hike the full length of the canal from the Biwa lakeshore to the Kamo riverbank. 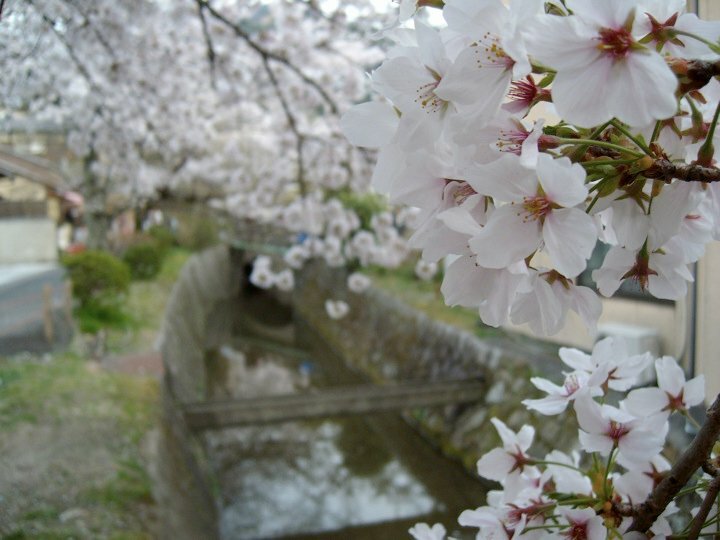 It’s a great hike, and the canal is lined with cherry blossoms along most of its length; enjoy! If you don’t have time for that, you can easily combine a visit to Keage Incline with a stroll along the Philosopher’s Path. 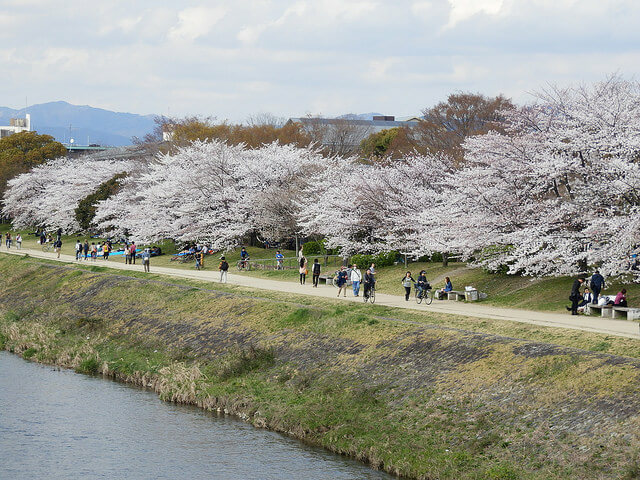 Kyoto’s most famous cherry blossom spot is this 2km path alongside a narrow canal (part of the Lake Biwa Canal system, see above), running from near Nanzenji temple to Ginkakuji (the Silver Temple), two of the most important temples in the city. 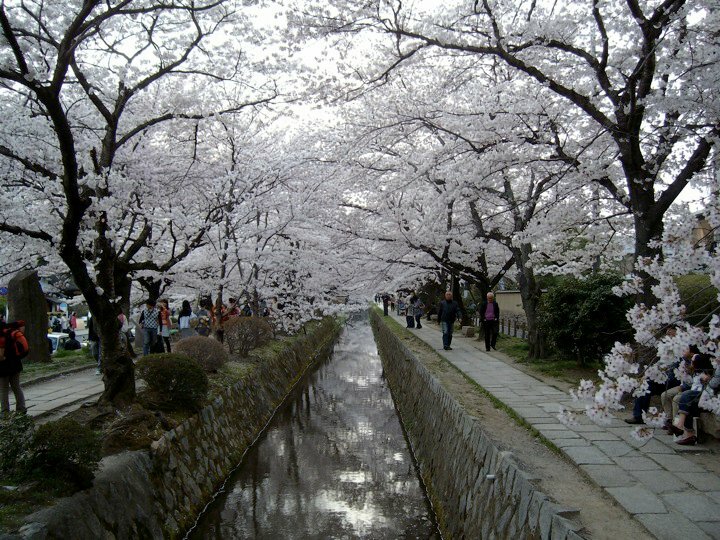 The tightly spaced sakura trees form a tunnel of blossoms over the water, and it really is gorgeous. The path is named for a Kyoto University professor who used to stroll along it for some tranquility and reflection; but don’t be expecting anything of the sort in cherry blossom season! The path is extremely popular, and though it looks amazing it doesn’t make for a serene experience (head to nearby Kurodani (see top) for something more tranquil). 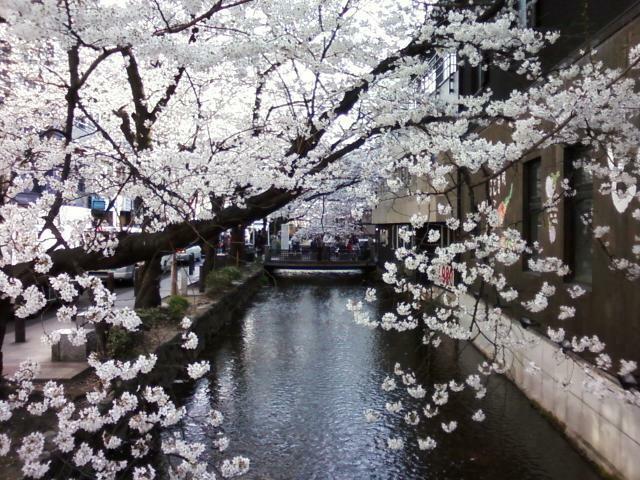 But if you really want the best picture-perfect shot of the sakura in Kyoto, this is the place to get it. It’s also a fun area for cute little cafés and souvenir shops, and the green tea & cherry blossom ice cream cones are highly recommended! Starting from Keage Station, you can follow this route to visit Keage Incline and then Tetsugaku-no-michi. Kiyamachi-dori (Kiyamachi street) is a minor road running along a canal in Kyoto’s main shopping district, which is the focal point of the city’s limited but fun nightlife; the section between Sanjo and Shijo streets is packed with all sorts of bars and arguably Japan’s best nightclub, World Club. It’s also lined with sakura trees, and the stretch of canal just north of Shijo Kawaramachi station (Hankyu line) has a row of traditional buildings backing onto it and looks great with the branches of cherry blossoms hanging low over the water. This medium-sized park next to the Gion district is Kyoto’s main hanami spot; office juniors and university club short-straw drawers are sent along early to stake out good spots with their blue tarps, and the cavalry join them later; by evening it’s a sea of drunken revelry. There’s a bunch of street food stands, and temporary restaurants set up tables under the blossoms (this is the way to go if you’re there as a couple). 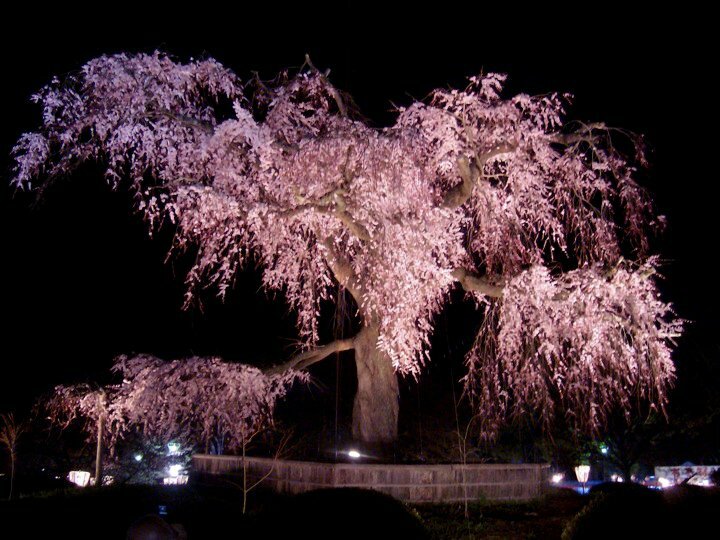 But Maruyama is on my list for one main reason; the enormous weeping cherry tree standing in the middle of the park is absolutely spectacular at full bloom, the blossoms tumbling down in a frozen pink cascade, and it really is a most impressive sight – the above pic doesn’t do it justice. 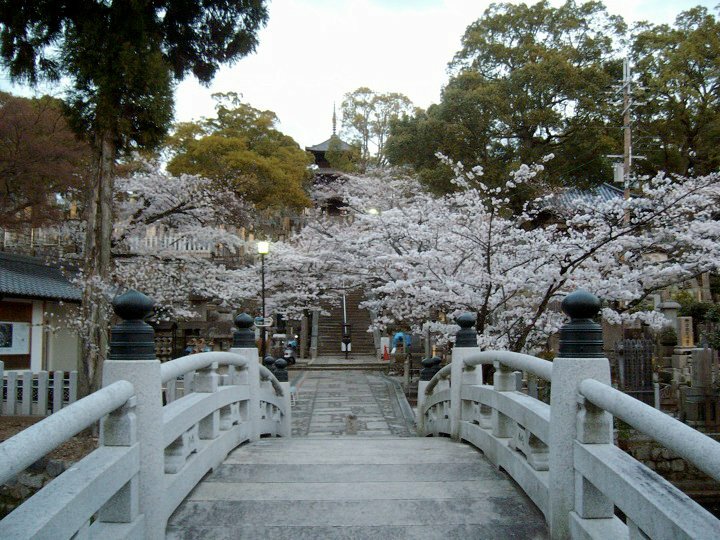 Other notable cherry blossom spots in Kyoto include: Heian Shrine (specifically the gardens), Kenninji temple (in the middle of Gion), Ninnaji & Ryoanji temples (near neighbours in western Kyoto; you can easily visit both in one trip), and the Arashiyama district with its riverside, mountain views, and many temples. 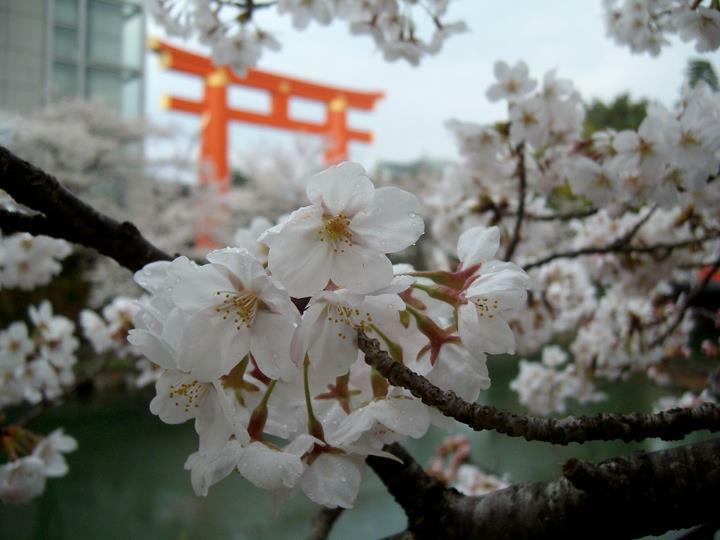 Have you been lucky enough to catch the cherry blossoms in Kyoto, or do you have any questions? 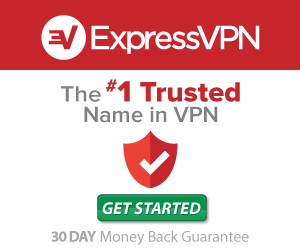 Leave me a comment below and I’ll get back to you. Hey there… i am very thankfull for your cherry blossom Tipps. I am a flight attendant from Germany, and have a trip to Osaka , and I’m gonna take my hubby there in first week of April on his birthday. 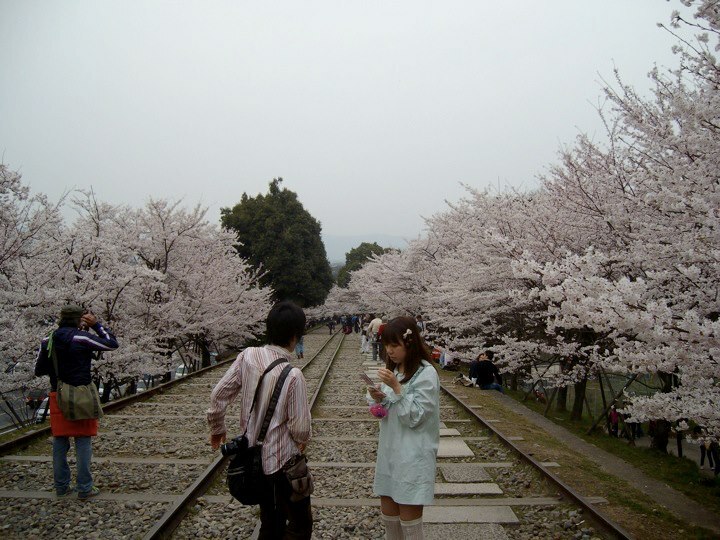 Ok, Kurodani is my personal favourite, and it’s close to Keage Incline and the famous Philosopher’s Path. So, if you’re happy to spend a couple of hours walking around, I’d suggest going to Kurodani first, then walking over to the Philosopher’s Path. At the southern end of the Philosopher’s Path is Nanzen-ji Temple, and near there is Keage Station. Keage Incline is above the station. Feel free if you have any more questions! I’m not sure which I prefer – autumn’s especially good for hiking, but the atmosphere for the cherry blossoms is pretty special.